Sending out emails for your company can be a totally nerve-wracking experience. Anxiety gets built up by asking yourself questions like, “What if my content doesn’t get clicked?”; “What if a bunch of people report me as spam?”; “What if the customer I was going to send to the sales team unsubscribes?” As marketers, we’ve all been in the position of a marketing effort not performing as well as we thought or intended, and having this happen can really get you feeling down. Luckily, the internet is full of great advice to give your campaign the pizzazz it needs to ensure it doesn’t end up being a total flop. 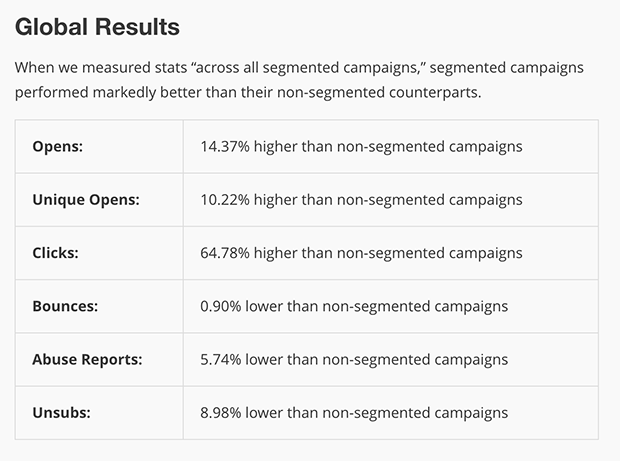 When it comes to personalization in email marketing, the numbers don’t lie. Personalization in an email is as easy as using someone's first name in the email instead of a generic, “hey you” or “dear valued customer.” Research found that a personalized subject line increased email open rates by 26%. Another study found that personalized email messages improved click-through rates by an average of 14% and conversions by 10%. With statistics like that, it’s clear that personalization is an easy piece to implement into your email marketing strategy. Personalization can go further beyond just a name. You can get right down to it and straight out ask your contact what they are searching for from your services. Doing this allows you to go the extra mile and get one more question answered by your contact. You can then segment them into another list to ensure your emails are being targeted properly. The other thing we have personally found works best for us, in regards to personalization, is putting a face with a name from our company. We’ve found that 55.7% of clicks from our newsletters come from our employee spotlight section. HubSpot has also found success with this. Nearly all of their emails sent out, come from a specific person within their company. We can’t say this enough: if you have a large list, but your opens aren’t reflecting your list size, then it’s time to say goodbye to those contacts weighing you down and clean your list. We know this may be hard for some, as we’re sure you’ve spent lots of time segmenting and submitting the emails you’ve gathered. It also may feel like you’re eliminating what could be potential sales. But it’s important to know that keeping these contacts on your list only hurts your numbers since your open rate and click rate averages will decrease. The two main ways that your emails may not be getting through to your contacts is if their email is invalid or inactive. Invalid emails are addresses that simply don’t exist. These return what is known as a hard bounce when delivery is attempted. Inactive emails are ones that haven’t interacted with your emails at all over a period of time. The best thing to do when you have an inactive email on your list is to send out another email offering an exclusive promotion or to ask if they would like to change the frequency that they receive emails. In essence, having a list with good hygiene enables marketers to establish baseline metrics for customers who find content desirable and might be convinced to take action, and when it comes down to it, that’s what we really want. Yes, it’s time consuming, boring, and repetitive. But seriously, this is one of, if not the most important, things you can do. Email list segmentation is a technique that email marketers use to send highly targeted emails by dividing their list up into smaller groups, or “segments.” List segmentation allows you to send the right people the most pertinent content at the ideal time. Data collection from previous emails allows you to segment your lists by demographics, industry, company size, page views, downloads—really, any way you would like to organize your lists, you can. As you can see, the numbers don’t lie. If you want higher open and interactions rates, segmentation is the way to go. You passed the first step and got somebody to open your email, good job! But now that you’ve drawn them in, you don’t want them to quickly send it trash because your email is boring, ugly, or spammy looking. A good-looking email encourages users to scroll through and see the complete details of an offer. To no surprise, the top trend for email design is interactivity. Interactivity can be something as simple as a hover to change pictures or colors, a simple GIF, or sentiment icons. If you want to get really creative, and you’ve got some coding knowledge, you could do things such as an image carousel or personalized product reviews. An image carousel will allow users to click through a small gallery of photos you’ve put together. Image carousels are great because not only do they motivate interaction, they take up less space than if you were to have put all of the images individually in the email. A live shopping cart is also an excellent tool to include if you are a retailer. However, these are both quite advanced and currently aren't widely supported. A personalized product review is excellent also, because it gives the user a look at exactly what they would be ordering. Burberry did an excellent job with this when they sent out their “Scarf Bar” email. 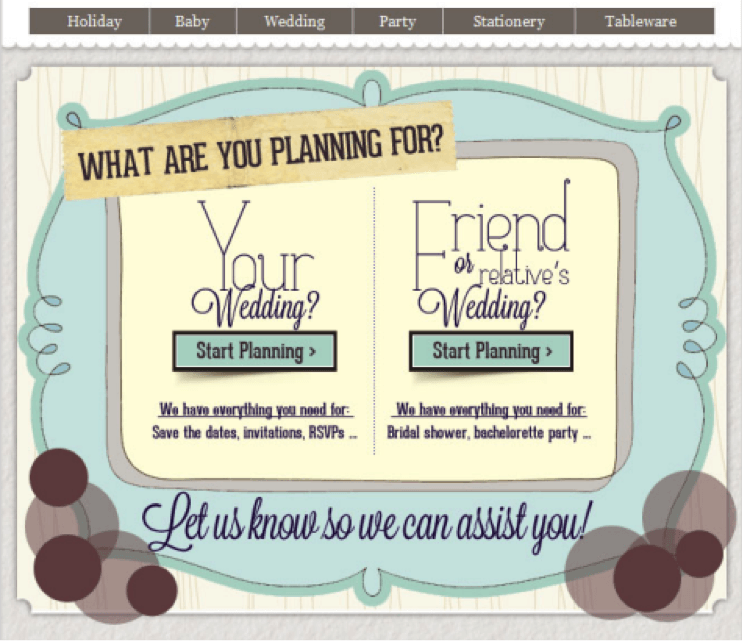 It allowed users to choose the style, color, design, and even the option to add their monogram—all within the email. Check out the scarf bar here. That’s it for our quick tips on email marketing. Use these tips to watch your email opens and interactions rise out of the dumps. If you have any questions or comments, feel free to ask an Armor Tech below.